I started using Lilash in August and used it every night until then, I later only used it every other night, then 2-3 times a week, and now I'm using it roughly once a week or whenever I remember. As you can see, in my opinion they weren't too bad, not amazing but 'good'. I no longer use an eyelash curler, I'm happy to apply my mascara directly which is good news. I don't know how long the results will last when I stop using Lilash but hope it lasts forever :) I would say my lashes are significantly longer and curlier but not thicker or darker. I think that by decreasing the amount of times I used it in a week helped my lashes have a healthy process in maintaining and prolonging the growth. The only thing that is slightly annoying is that I don't have a perfectly even lash line as some lashes are in a race to grow quicker and some are slow coaches. Did you have to trim your eyelashes? No, I never felt the need to do it, they didn't look bizarre in my opinion. Did you experience any discomfort, stinging, allergic reaction? Not really, the first couple of weeks my eyes were bloodshot a little but it faded. Did your eyelids get discoloured? Yes, a little bit - I looked a little ill. It wasn't too bad though. Did your eye colour change? No, though I have heard that it happens. My eyes were hazel and they still are the exact same shade. How long before using it did you see a difference? Did any of your lashes fallout? No, not really, maybe 1 or 2 (that I know of) during the past months. Errr yes if you want longer curlier lashes, but it's expensive so think carefully! Click HERE to visit Lilash's website for any other queries you may have. Disclaimer: This product was sent to me to review, I did not get paid for it - this is my personal opinion. I'm hoping to cut back the fall outs I've been experiencing with waterproof mascara. I'm back with Benefits Badgal mascara! @Vi & Ollie i can't stand waterproof mascara as it's such a pain to take off, so i avoid it. 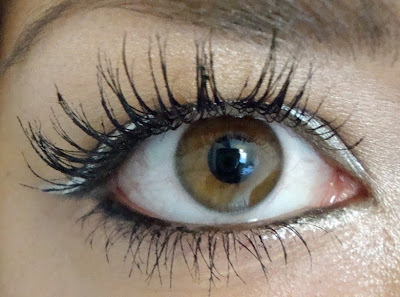 I would love to know a great dupe for a lash stimulator - keep us updated! I am SO jealous! Your lashes look amazing! I was "blessed" with short Asian lashes and they drive me nuts! the lilash really worked on you! i still love those pics with the silver lining...looks so nice! Your lashes look fantastic! I started using Lilash end of September, but for some reason, my lashes are not as lovely and fluttery as yours - they are definitely longer, but not something I notice when I dont have mascara on. Maybe your lashes are naturally thicker than mine so they are more noticeable? 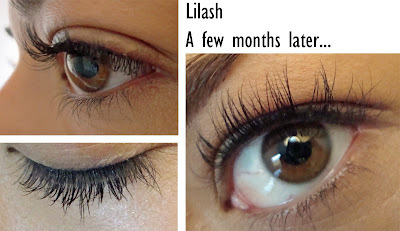 I didnt really think my eyelashes were that bad, until everyone started using lilash!! Looks like it does something, but I'd be interested to know how long it takes for them to return to normal... its quite an expense to sign up to this stuff for life!! @Computergirl yes that would be interesting, i will share my prgress with u all. Your lashes are just perfect!!!!! I have been using Loreal Renewal Serum and I am quite liking it, my lashes are much healthier, not falling out like they used to ( I use too much mascara). Your lashes look amazing, it would worry me if my eyelids got a bit discoloured though! Ohh lovely. I'm currently using rapidlash it's half the price and I'm noticing results in 3 weeks. If my lashes don't grow like yours I'm trying lilash next! WOw! I really want to try it, but don't know if I should, since it's so expensive after a while..
ive been using lilash for about slightly more than 1/2 year. im on my 2nd tube but i think i seriously have to stop. my lids are seriously discoloring like mad. my upper and bottom lids have a tinge of purple in them. i look like a vampire now and my lids are extra sensitive now. :( so sad that i have to stop. omg your eyes are amazing! Glad that this product worked for you, but I 'm just too afraid to use it myself...! I have been thinking of bying LiLash but the part that I'm concerned about is the eye colour change. I have hazel eyes too and it will be a great dissapointment for me if the treatement darkens my eye colour. You said that you hadn't any problem with that so that's quite encouranging !But as the product is completely unknown here in greece does any one know how often does that eye colour change problem occur and if you think it's worth taking the risk.